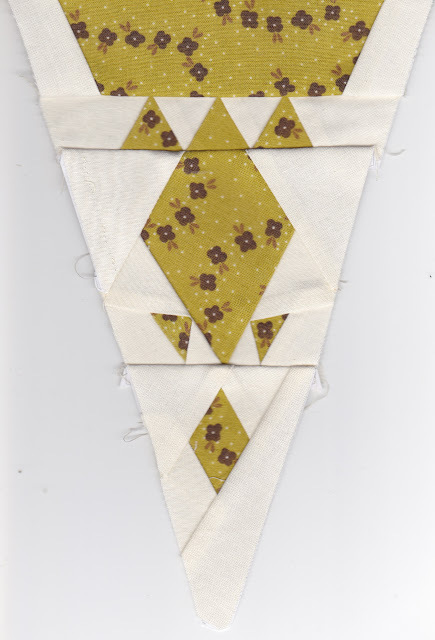 If you have been doing this quilt in order you will agree there is nothing new to this triangle. 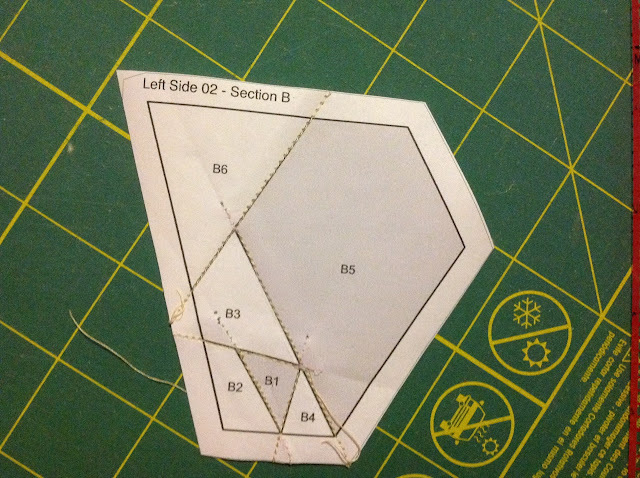 The things that I have learnt so far have been useful when working with the two tiny triangles on the side of the big diamond. 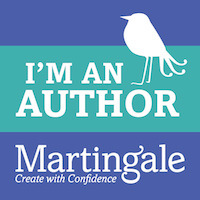 The best piece of advice I can give you is press well each piece as you stitch it. 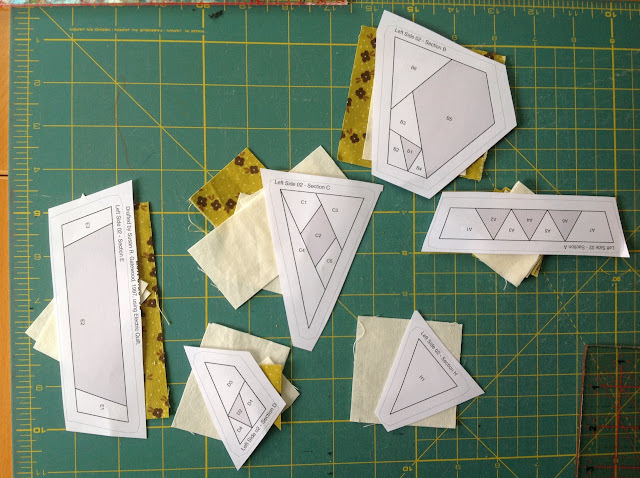 If you would like to do this triangle with paper piecing and you haven’t done paper piecing before, I have posted several tutorials on this topic that may help you. 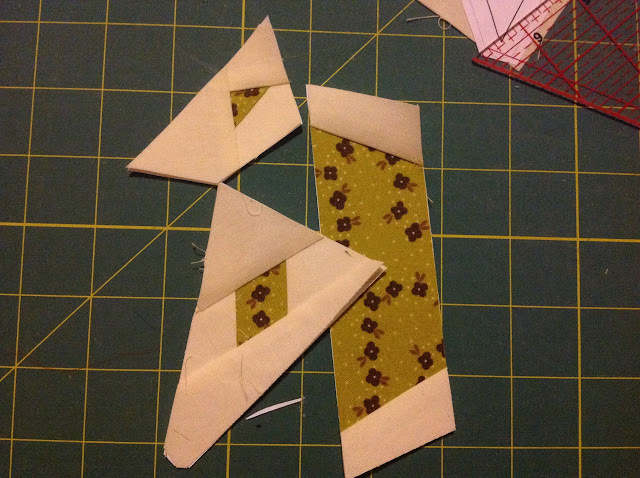 I have even posted a foundation piecing video tutorial to show you the method. 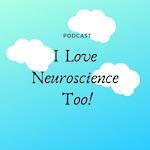 I totally recommend it. 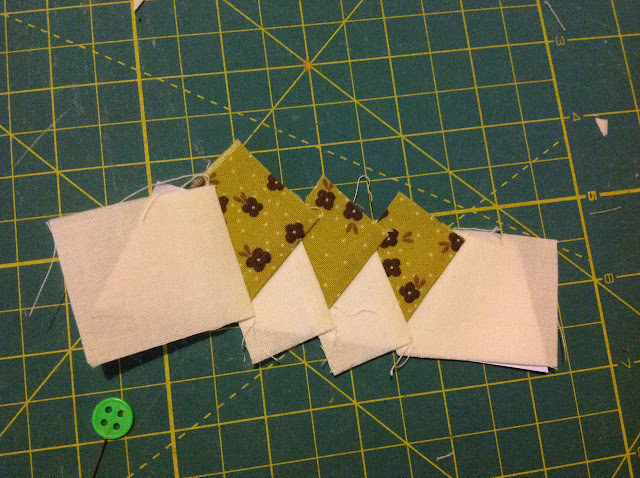 I have said this many times before but I’ll say it again, paper piecing is the only reason many of my blocks look so neat. 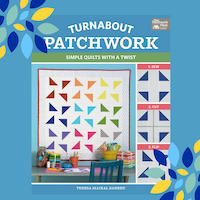 I’m sure that the necessary skill to make this quiltin the traditional way can be acquired, but if you want quick results paper piecing is the way to go. will turn into this after trimming excess fabric. As you can see I have been pressing after each piece. This can be a bit annoying but it certainly pays off. 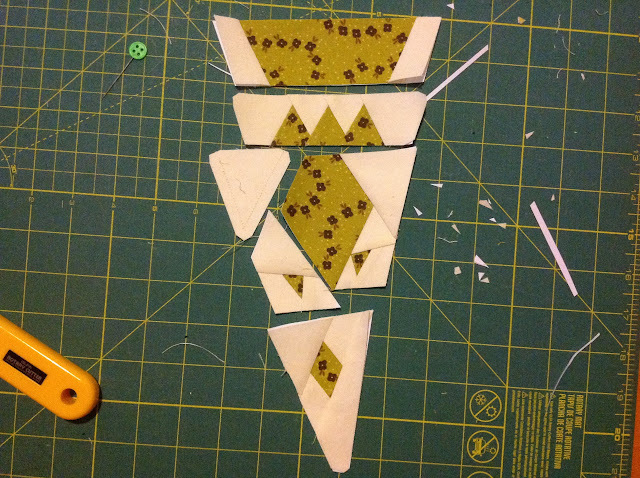 Now just sew all the pieces together into a triangle. 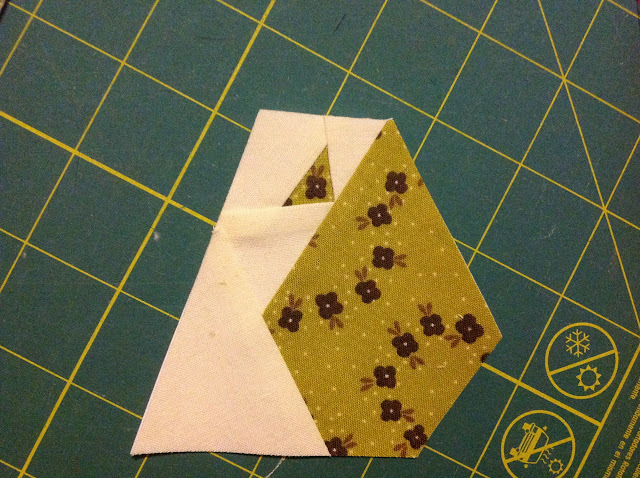 Hi, with the paper piecing, I see that you stich right over the seem allowence, is there a special reason why you do that? Thanks and keep up the good work! Hanneke, the Netherlands. 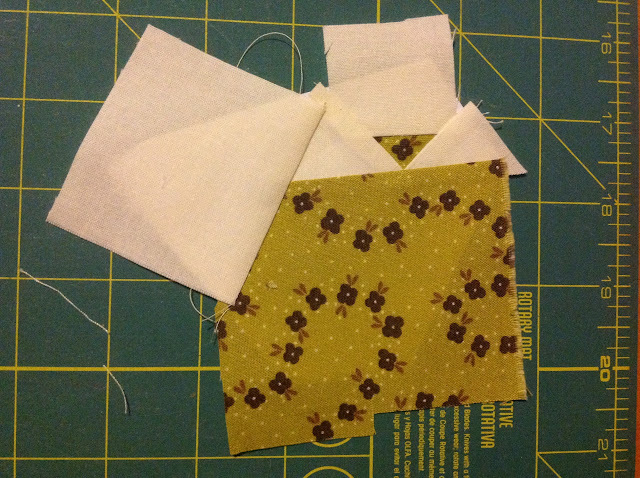 To answer your question, I find that most of the time you need to stitch through the seam allowance, just as you would do with traditional patchwork. 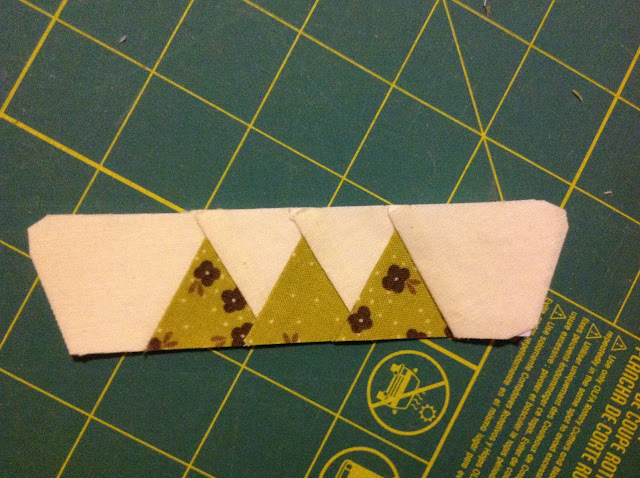 If you stitch just to the line then the seam could open more easily later on. Take your time. 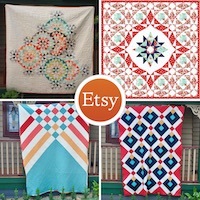 This quilt is soooo time consuming.